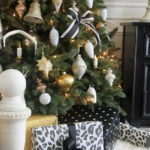 A blogger, professional home stylist, former banker, and contributor to various sites and publications, Sarah started The Yellow Cape Cod design studio in 2009. 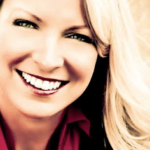 She built it with the goal of helping people create beautiful, unique, and practical homes. 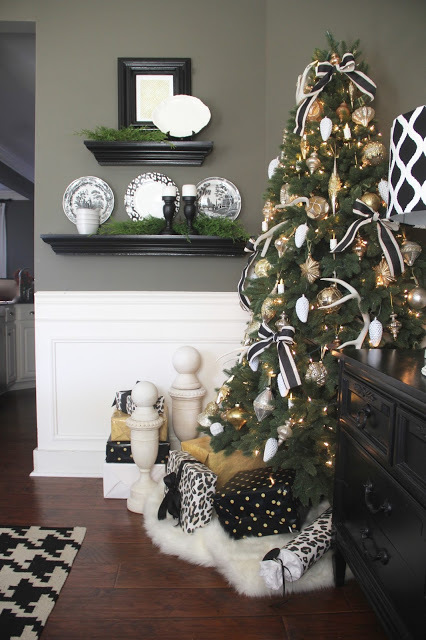 Her blog is home to posts about DIY tutorials, home décor tips, and much more. 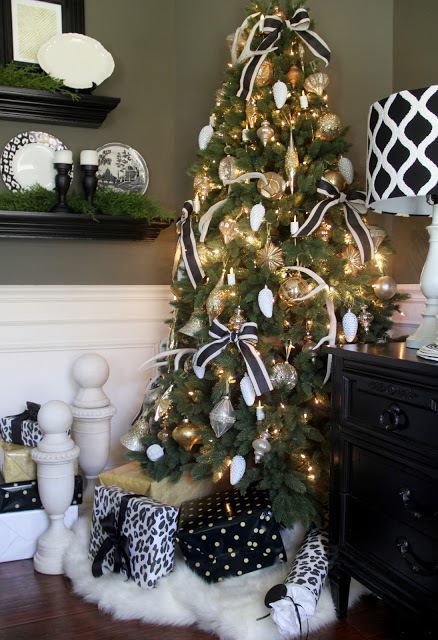 Which Balsam Hill tree did you decorate and what feature did you like most about it? I decorated the Fifth Ave Flatback tree. I LOVE that the flat back of this tree allowed me to place it in our dining room which has a slanted wall and not a lot of floor space. 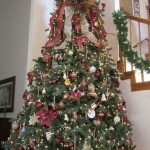 I was able to have the look of a full-sized Christmas tree without crowding the space. 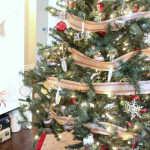 What ornaments did you use to adorn the tree? Did you have any particular favorites? I used the Balsam Hill Silver and Gold Ornament Collection, the Miracle Flame LED candles, real naturally shed deer antlers, ribbons, and a few ornaments I have collected over the years. I love the flickering, warm glow that the Miracle Flame Candles cast in the room. It gives the tree movement and the flame is very real looking. 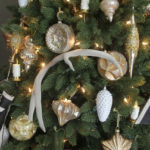 The Silver and Gold ornament collection gave the tree a ton of sophistication while the naturally shed antlers are eye-catching and added a sense of whimsy. Where do you get your decorating inspiration from? 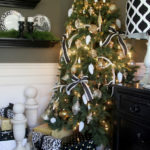 This year, my inspiration for this tree started with the Silver and Gold Ornament Collection and some fun wrapping paper that I found online that really spoke to me. 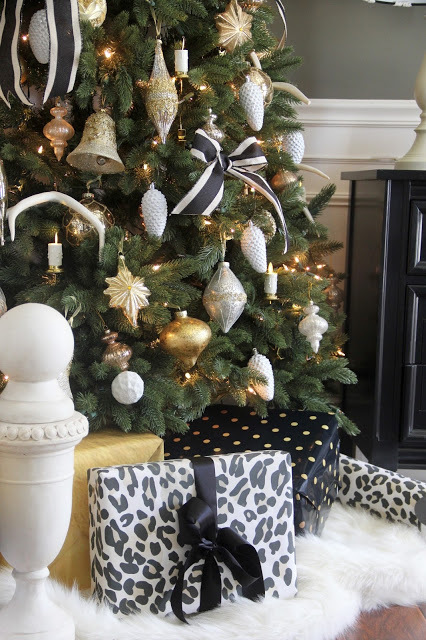 Using the ornaments and wrapping paper as my design starting point, I began collecting the remaining elements to create a sophisticated tree that had both contemporary and traditional elements. My family is very big on tradition, however we are also young and fun and I wanted that to be represented in our Christmas decor. 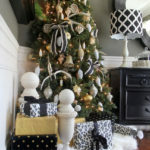 I also wanted the tree to have a bold, graphic quality that complements the interior decor in my dining room. 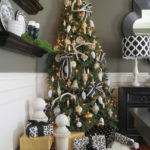 Do you have special techniques when decorating a tree? I usually begin decorating my tree by using the largest elements first. Spacing out the large ornaments (or in this case the antlers) first helps to place the rest of the ornaments evenly. I usually add the ribbon last. 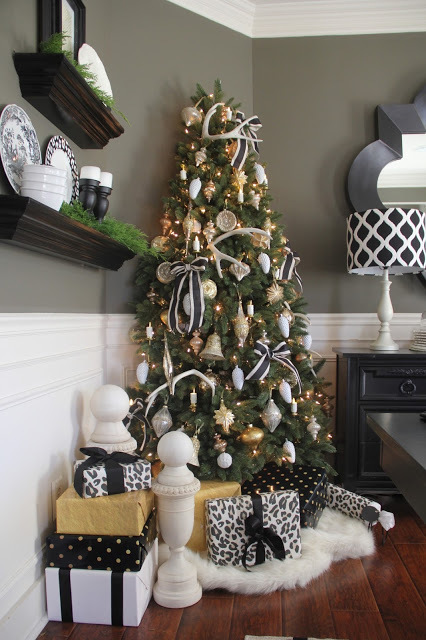 Ribbon is a great way to give a tree instant personality, and a pretty patterned ribbon can tie your Christmas tree in with your existing home decor. Also, adding the ribbon last allows you to fill in any bare spots. How would you describe your finished look? 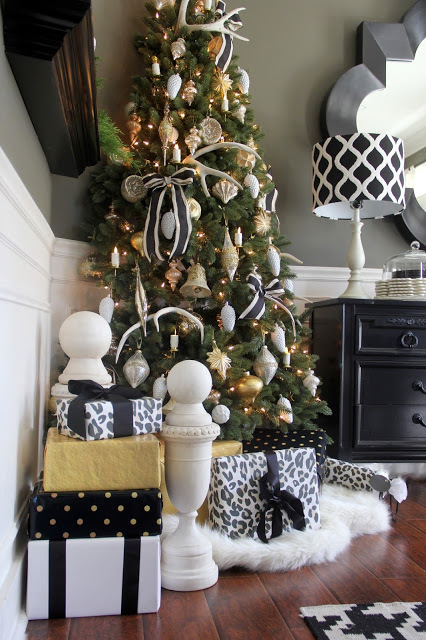 I would describe the look of our 2016 tree as a contemporary spin on a traditional design. The bold, graphic ribbon and wrapping paper gave it a little edge, while the soft, flickering candles lent a nod to tradition. 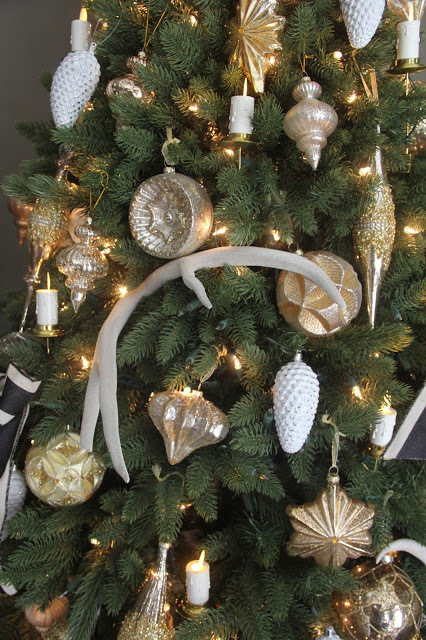 The Silver and Gold ornaments are a little on the formal side, while the natural antlers tone down the formality and offer a sense of whimsy that keeps the look young.